I have an unholy passion for kimchi and I’m not ashamed to admit it! I simply can’t get enough of this spicy Korean delight and it seems I am not alone. Some of my most popular posts to date have been kimchi related, so I thought it was about time I fed our collective obsession and posted another kimchi recipe. 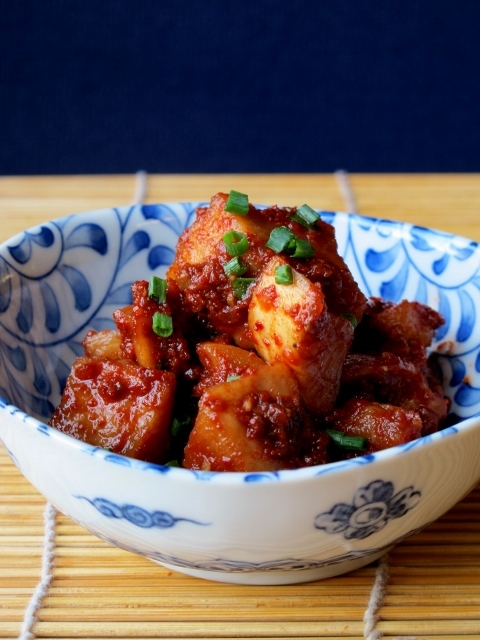 So this time around, I’m making one of my favourite types of kimchi – kkakdugi or cubed daikon kimchi. Perhaps second only in popluarity to the almighty mak kimchi, kkakdugi is a great addition to any Korean dining experience. As you would expect with any type of kimchi, this version of the Korean staple is wonderfully piquant and highly addictive; though unlike most others, daikon kimchi has a delightful crunch and crispness to it which helps temper the spiciness of the chilli powder. Personally, I find the process of making kkakdugi marginally less involved than mak kimchi and the fermenting period is also a little bit shorter, meaning you don’t have to wait quite as along to tuck into your kimchi! On the downside, kkakdugi doesn’t seem to fair as well as other kimchis in terms of its shelf-life, however, this may have more to do with my lack of technique and experience than a shortcoming of the dish! With regard to technique, making any sort of kimchi is a matter of trial and error. Whilst the core process for making kimchi remains similar for each variety, each version has its own quirks and it may take a few attempts before you end up with a kimchi that suits your own tastes and preferences. Making the perfect kkakdugi has, up to now, been particularly vexing for me as I often find the kimchi comes out too watery and the daikon too limp. I have now taken to draining off the excess water as the kimchi ferments and I have also stopped peeling my daikon – both these seemingly minor tweaks to the process has resulted in a far superior end result (at least in my opinion). 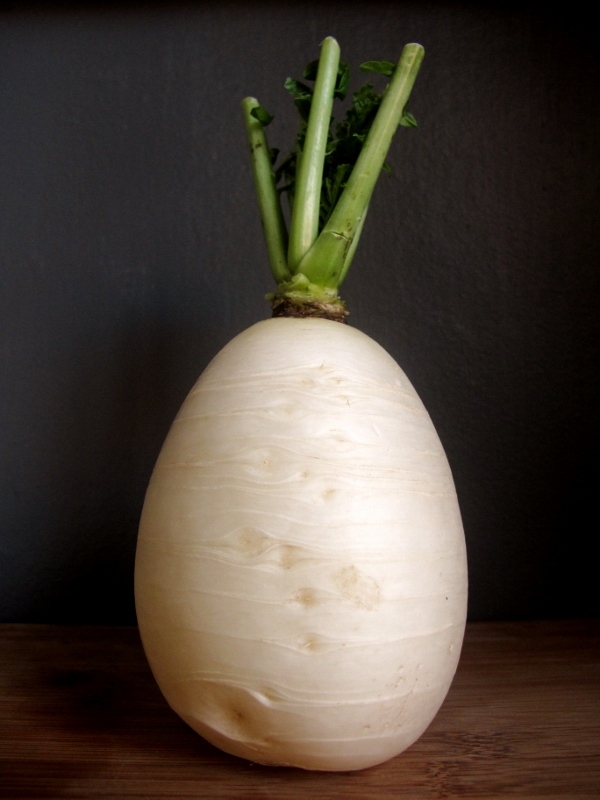 Note: As the daikon ferments, it will release a lot of water which will rise to the top of the kimchi – drain off most of this water before giving the kimchi a good stir. Do this before placing it in the fridge.